CARFAX 1-Owner. AWD HARD TO FIND, AUDIO SYSTEM, AM/FM STEREO WITH CD PL. POWER PACKAGE, CONVENIENCE PACKAGE, POWER WINDOWS AN. All Wheel Drive, CONVENIENCE PACKAGE, TILT-WHEEL AND (. SEAT ADJUSTER, DRIVER 6-WAY POWER, WINDOWS, POWER. POWER PACKAGE: (Includes (ZQ2) Convenience Package and (DE5) outside heated, power-adjustable, Black mirrors. POWER WINDOWS AND DOOR LOCKS (Includes (A31) power windows and (AU3) power door locks. TILT-WHEEL AND (K34) CRUISE CONTROL, AM/FM STEREO WITH CD PLAYER seek-and-scan, digital clock, TheftLock, random select and 2 front door speakers, SEAT ADJUSTER, REMOTE KEYLESS ENTRY with 2 transmitters and remote panic button, POWER: (Included and only available with (ZQ2) Convenience Package. ), ENGINE, VORTEC 5.3L V8 SFI FLEXFUEL (310 hp [231.1 kW] @ 5200 rpm, 334 lb-ft of torque [450.9 N-m] @ 4500 rpm) (STD), TRANSMISSION, 4-SPEED AUTOMATIC, ELECTRONICALLY CONTROLLED with overdrive, tow/haul mode and internal transmission oil cooler (STD). 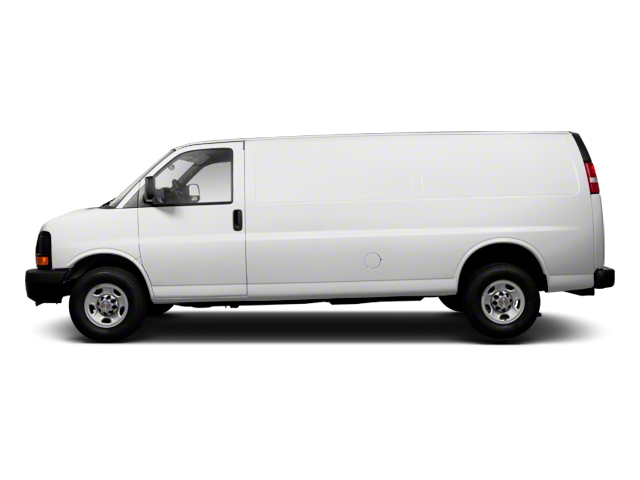 Hello, I would like more information about the 2013 Chevrolet Express Cargo Van, stock# 15441. Hello, I would like to see more pictures of the 2013 Chevrolet Express Cargo Van, stock# 15441. Ready to drive this 2013 Chevrolet Express Cargo Van? Let us know below when you are coming in, and we'll get it ready for you.